The New Jersey Department of Environmental Protection (DEP), Historic Preservation Office and NJ Historic Sites Council hosted the 16th Annual Historic Preservation Awards recognizing the efforts of individuals, organizations and government agencies to preserve the State's valuable resources. 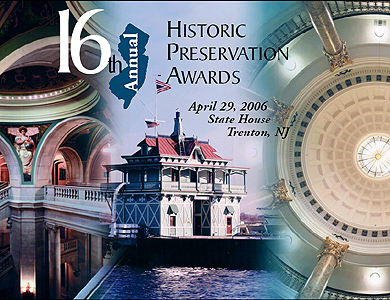 The annual New Jersey Historic Preservation Awards Ceremony was held at the New Jersey State House Assembly Chambers, on April 29, 2006. The award to the Paterson Friends of Great Falls Web site recognizes innovative efforts in education and interpretive programs. To fully appreciate this comprehensive effort visit the web site at www.patersongreatfalls.org. While providing a basic historical perspective for this industrial icon, the website also includes news, issues, current events, and links to many other like minded organizations. The site is replete with breathtaking historic images and a wealth of links sites with even more photos and images. 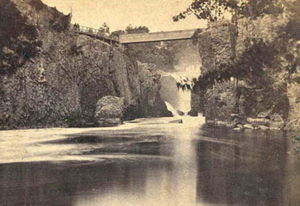 The Great Falls of Paterson is one of New Jersey's newest urban park, and is currently the subject of a design competition. This web site has proven itself invaluable to site designers, who are sorting through and sifting out the history and current events associated with the Great Falls of Paterson for future park development. The web site serves as a model for any organizations with a limited budget seeking to get the word out. Most of the work and research to put this site together was volunteer labor and the costs to create it were minimal, estimated at about $1,500 over a six year period. The key to the success of this site is that it is constantly being maintained and updated by the volunteers. Recognition went to: Barbara Small, website development,, Richard Shulz, David Soo, and the membership of Paterson Friends of the Great Falls. The A.S. Woodruff Law Building project took an underutilized building in Camden, used private financing and combined it with a federal investment tax credit to produce this very simple, but very powerful example of the vitality and rebirth of Camden's Market Street Historic District. In the past preservationists have struggled with rehabilitation in Camden on many levels. The law firm, Loughry and Lindsay, found downtown Camden a hospitable business environment, close to the state and federal courthouses. This was largely the same reason why the first lawyers to occupy the A. S. Woodruff Law Building, originally chose to build in the neighborhood. The project included exterior repointing, sensitive adaptation of interior spaces incorporating special consideration for Americans with disabilities, retention of trim and window molding, new electrical, heating and cooling systems, and the restoration of thirty-eight out of forty-four double hung multi-paned windows, including the arched window. Exterior alterations included a sensitively designed new side entrance to accommodate handicapped access to all public spaces. The building was originally built as a twin with both buildings adjoining on the second floor. Historically, Judge Woodruff rented the individual offices in the "Law Building" on a permanent or temporary basis to other private attorneys. At some point the buildings were legally separated and the opening between the two was sealed. This award recipient stands as a model to others, interested in revitalization in the City's long abandoned downtown commercial areas, and recognizes the important role of private investment in historic preservation. Recognition went to: Lawrence W. Lindsay, Esq. and Justin T. Loughry, Esq. ; Carmen LaRosa, Architect and Planner; and Bob Thompson, City of Camden. The Hopewell Township design guidelines may be the most user friendly, most concisely written, most visually appealing ever produced in this New Jersey and possibly nationally. Funded through Certified Local Government matching grant, and prepared by Preservation Design Partnership, this project is unique in that it was conceived as a series of topic-specific brochures. The individual brochures examine the enabling legislation and administrative review process, identify local architectural styles and character-defining features of buildings and their landscape settings, discuss exterior historic buildings systems, and provide recommendations for future additions and new construction to complement Hopewell's heritage and richness. The recommendations throughout are made in accordance with the Secretary of the Interior's Standards for Rehabilitation with additional technical information included to allow property owners to make informed decisions when considering alterations to historic resources. The innovation in this project represents a new approach in the preparation and presentation of design guidelines to the community. The full color electronic document could also be presented in either printed topic-specific guides or bound as a full book. By making information available in the three formats, Township residents have greater access to the information, using the Township web site or obtaining the printed information form the Township offices or local libraries. The total cost of the project was $61,562.97 which included printing and took just about ten months to complete. This award was presented to volunteers who have made significant contributions to the advancement of historic preservation. The Mountain Lakes Historic District Nomination is an extraordinary undertaking. This is evident when you consider that a community of volunteers completed the extensive nomination for a cost of $2,657, when most professional consulting firms would have charged as much as $80,000. 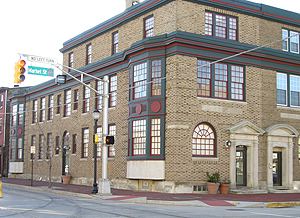 The district encompasses 1,087 contributing buildings, sites, and structures, the largest the Historic Preservation Office has seen since the early 90's. The Mountain Lakes Historic District is characterized by a chain of nine man-made lakes, natural streams and springs, acres of woods and wetlands of dedicated parkland and undeveloped borough-owned lots, naturalistic vegetation, and boulder stone or fieldstone walls. The planned residential park includes notably its original housing stock, much of which exists today, that was strongly influenced by the Arts and Crafts movement in the United States. The houses display a close relationship between land contour and building structure, natural material in construction and simplicity of design that emphasize functionality over ornamentation. The authors carefully researched the history of their town, and its significance within the context of municipal planning and real estate development, going well beyond the usual level of research needed for an average district nomination. 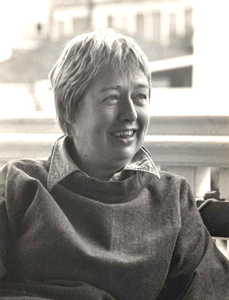 Dr. Maria Iacullo-Bird studied Mountain Lakes from a planning history standpoint and wrote the significance statement, successfully linking it to Craftsman Farms, just a few miles away, and Joan Nix, an architect, wrote the building descriptions and handled much of the architectural research while managing the overall project. Neither person had any previous experience in a project of this type and scope. The volunteer effort took four years, beginning with the establishment of a historic preservation committee, expending numerous hours of convincing neighbors, meetings with neighbors and officials, field documenting the buildings, researching the history which spans from 1908-1938, writing the nomination, and photographing this incredible collection of buildings. The list of contributors receiving recognition this included more than 70 individual volunteers. 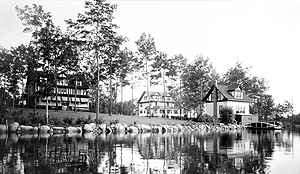 The citizens of Mountain Lakes can be very proud of this initiative to ensure that this wonderful tribute to early twentieth century development, boasting one of the largest and most distinguished collections of Craftsman style homes in a suburban park and lake community in the United States, has been preserved. In may of 2002, the Maywood Train Station was obsolete and in dilapidated condition, when the Maywood Station Historical Committee, a division of the New York, Susquehanna & Western Technical & Historical Society, formed after it became public that the Borough of Maywood had signed a demolition order. The last regular passenger train ceased in 1966 and the tracks in front of the station are presently used exclusively for freight. The committee quickly mobilized and obtained a certificate of eligibility for the station, identifying that it is one of the oldest existing stations in the New Jersey that retains most of its original character defining features. By July 2002, the committee had a long-term lease with the railroad and began the restoration project with weekly work sessions. The committee's main objectives were to restore, revitalize and preserve the historic Victorian style station. While removing stucco, numerous paint samples were discovered, including what was thought to be the original New Jersey Midland Railroad colors. The colors were certified and the station is now the only restored station on the NY, Susquehanna & Western RR colors. Aside from removing stucco, a new roof was applied, the exterior completely sanded, primed and painted, missing or deteriorated architectural elements were restored, lighting and mechanical systems were added and site improvements were made. 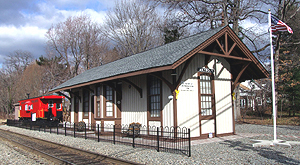 The station was listed in the New Jersey and National Registers of Historic Places in the Spring of 2003. The station now houses a museum preserving railroad and local history for all to enjoy. According to Ed Kaminski, the Committee's President: "The Maywood Station Historical Committee has been receiving continual local and regional support for their restoration and museum efforts and its roster is comprised of volunteers from all walks of life working for a common goal. The results have been impressive and prove what can happen when a group unites for a common cause to save a piece of its history and at the same time renews pride in its community." Recognition went to: Ed, Rosemarie, and Kristen Kaminski; Edward Hazuka, Hazuka Electric Co.; George Haag, Haag Construction; Walter Rich and Nathan Fenno, NY Susquehanna & Western Railway Corp.; Thomas Fenniman, Architect; Joseph Fiscella, USA Security Services; US Senator Frank Lautenberg; John Fuller, Aid to Sen. Lautenberg; Senator Loretta Weinberg; Assemblyman Gordon Johnson; Assemblywoman Valerie Huttle; and Mayor Thomas Richards. St. Peter's is significant because it is the oldest Episcopal congregation in New Jersey, having held continuous religious services since 1685. Since 1685, there have been three buildings on the site. The present church was completed in 1853. 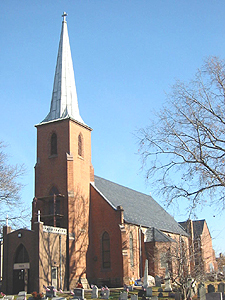 St. Peter's is an elegant Gothic Revival building constructed in brick with accents in brownstone and a handsome copper spire. It is set on a prominent hill over looking the Raritan Bay toward Station Island. One of the challenges facing all religious properties is balance the quality of workmanship with the costs of maintaining these grand edifices. The nomination was submitted by the project architect, Annabelle Radcliffe Trenner who so eloquently summarizes: "We are submitting this project for an award because the members of St. Peter's Episcopal Church have made enormous efforts since early 2002 to restore this historic church. It is the quantity and quality of work that is so astonishing for an inner city church where repair and maintenance of buildings and the need for outreach and support for the community are challenging to balance. The members of St. Peter's have with great tenacity managed to complete two substantial phases of exterior restoration work. They have demanded of the professional team the highest of preservation standards with the determination to achieve 100-year repairs wherever feasible. 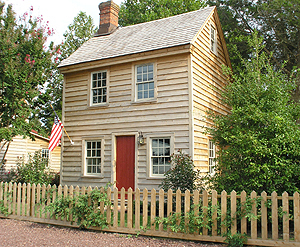 They have successfully obtained two New Jersey Historic Trust capital grants, and they have planned and successfully executed almost all of the recommendations prepared in 1998 as part of the Preservation Plan." Phase 1 of the work, included new slate roofs, correcting the old repairs that had been improperly executed, leading to more failure. Phase 2, included the restoration of masonry, namely the brownstone foundation walls, window trim and buttresses as well as the re-pointing and repair of brick. Window restoration included venting of all the protective glazing and restoration of several stained glass windows. A barrier free access path into the church and an elevator in the Parish House were installed. Recognition went to: Reverend Rodney Croes, Pastor; Meyer J. Pincelli; Cedric Richardson; Reverend Kathleen DeJohn, Decon; David Adams, Past Senior Warden; Jack Jankowski, Onsite Clerk of the Works; Barbara Jankowski; Bruce Stephenson, Church Committee Chair; Annabelle Radcliffe-Trenner, Susan Natale and Marjorie Haigler, Historic Buildings Architects; Richard Olszewski, Princeton Engineering Group; James Biegen and Carlos Bonilla, Maser Consulting, PA; Art Femenella and Patrick Baldoni, Femenella & Associates (Stained glass conservator); Richard Hunter, Hunter Research Associates; Richard Marks and Delwyn Williamson; Daedalus Projects, Inc.(Cost estimators); Larry Plevy, Schtiller & Plevy, (Phase 1 contractors); Kathy Jordan and Clay Jordan, Art of Glass; Screenivas Raman, Sasi Kumar and Gary Donofrio, Integrated Construction Enterprises; and Elie Cherbaka, Qualisafe Construction (Phase 2 contractors). The Phoenix House has been a fixture of Main Street since the early 19th century. 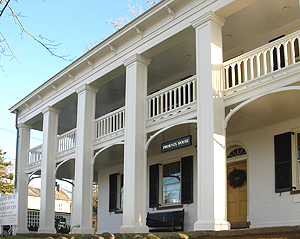 William Phoenix purchased the Federal style building for us as an inn and added the distinctive Greek Revival style porches in 1840. After his death, his daughters ran the boarding house/resort until the earth 20th century but subsequent owners let the property deteriorate until State Senator Arthur Whitney and a group of 16 local residents purchased the building and gave it to the borough. Retaining a painted portrait of Julia Phoenix, the building was transformed into a municipal office building and remained so for several decades. By 2001, the building was ready for substantial rehabilitation. Work consisted of providing barrier free access, restoration of the substantial chimneys and brick parapet walls, insertion of steel beams in the attic, new roofing, and re-pointing. Several months into the construction the project team was confronted with an emergency situation, when serious structural problems were uncovered on the front porch, requiring enhanced efforts to stabilize and restore the grand front porch. Porch roof beams were replaced, new members installed, columns were repaired and the northwest corner porch roof beam was replaced. Now fully rehabilitated, the Phoenix House is home for the Borough administration once again, with first floor double parlor available for small group meetings. Like the legendary bird, this building has been adapted over time for new uses that have served the community. As so eloquently expressed in the nomination for this award: "This successful restoration project reflects the very best practices of preservation planning, professionalism and commitment to excellence." Recognition went to: Ralph E. Blakeslee, Borough Administrator; Paul Ferriero, Borough Engineer; David V. Abramson, Architect; James B. Huffan, Structural Engineer; Larry Plevy, Schtiller & Plevy. The Owen Coachman House is a rare surviving example of a free black land owner's home erected before the Civil War. The home significantly represents the ante-bellum free black community that was established in Cape May County in the first half of the 19th century. Although the house had survived remarkably intact, when Dave and Christina Clemans purchased it in 2004, it was in need of some work. The exterior clapboard was deteriorated and had no backing to protect the structure's frame. There was no insulation, the roof was covered with modern asphalt shingles, several sills and corner posts in the rear kitchen addition were rotted beyond repair, and Victorian-era alterations to the main block had obscured its colonial and mid-19th century appearances. Because the house had been used only as a summer resident for the past 45+ years, the electrical, plumbing and HVAC systems were sub-code. Siding was replaced in kind. Where the kitchen wall abutted the rear wall, 1846 clapboard remained and were preserved in situ. Roofing was restored to its 2' long red cedar shingles. New wiring, plumbing and HVAC systems were sensitively introduced, the HVAC system was located in the attic where it serves small ports placed unobtrusively in the ceilings of the rooms. Windows were replaced with 6/6 double hung wood windows that match the size of the window openings are historically appropriate; former window openings were re-opened. 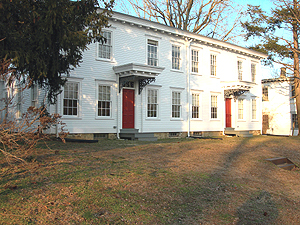 Early 20th century doors on the front and rear of the house were replaced with replicated board and batten doors. Interior plaster walls, which date to cira 1846 in the main block and to cira 1850 in the kitchen addition, remain in situ and have been covered with an acrylic resin finish coat that simulates a plaster surface, while hiding irregularities. Interior trim was restored. This home restoration project is of the highest quality, preserving an important part of the State's architectural and African-American history by restoring the house, rather than by tearing it down. Recognition went to: Dave and Christina Clemens, Homeowners; Sea Grove Associates, Contractor; Lewis Thomas, Carpenter & Foreman; George Lowry, Carpenter & Electrician; Pete Leonard, Plumbing & Heating; Unique Indoor Comfort, Heating and air conditioning; Chimney Savers; and Joan Berkey, Historic Preservation Consultant. This award nomination was originally submitted for stabilization of Houses 6 & 7, part of the 312 acre Historic Smithville Park, and two of the park's 20 historic buildings. However, the award committee felt strongly that it should acknowledge the multi-year commitment on the part of the Burlington County Freeholders to return this once thriving industrial community into productive recreational use. The future of this site really began in 1995 when Burlington County initiated its master plan. The original recommendations for the Master Plan were to interpret the site not the period when Hezekiah Smith operated the Smith Woodworking Machinery Company. House 6 & 7, two of the largest houses and probably the manager's houses, were recommended for stabilization. It was decided that the exterior's were to be interpreted and restored to their period of significance 1865-1890 while the interior would be adapted for use by the Division of Parks and Division of Cultural Affairs and Tourism. Disassembly began and because of powder-post beetle infestation and water infiltration, decay was extensive and a great deal of the framing had to be replaced. Minor changes were made to the interior floor plans. All the original wood doors, interior and exterior have been restored. New HVAC has been installed, and the summer kitchen on House #6 has been renovated for an ADA toilet room and small storage area. Burlington County Parks moved into their new offices in October 2005. The restoration of these two houses is a discrete project within the overall work program to restore the village, but the dramatic difference they have made in restoring the village streetscape cannot be understated. While there is still more work to be done in revitalizing Smithville, their completion stands as a testament to Burlington County's ongoing stewardship for this historic park. Recognition went to: Burlington County Freeholders; Jeffrey Kerchner, Division of Parks; Augustus Mosca, County Administrator; Jan Jeffries, Masonry Preservation Group; Michael Holleman, Vitetta (Project architect). This year marks the 40th anniversary of the National Historic Preservation Act. It has become a reason to take stock of our own preservation history and it is within this context, that Mary Carolyn Pitts was honored for her lifetime achievement in promoting, and advancing the cause of historic preservation in New Jersey. Remember a time long ago, before there was a state historic preservation office….or a state register of historic places, a time before state enabled local preservation ordinances and commissions, a time before we knew how to repair wood windows even….think about Cape May without tourists….the Emlen Physick Estate in jeopardy, because unless you can imagine preservation at its infancy, it would be impossible for you to truly understand how significant Carolyn's efforts truly were and how her energy and vision changed the face of preservation for everyone who came after her. Born 1923 to a Marine Corps family, Carolyn grew up in Chestnut Hill. She studied at the Moore Institute of Art where she graduated in1947; earned her Master of Fine Arts degree at the University of Pa in 1949. As a scholar of American History, Carolyn was fascinated by Cape May. After a devastating storm in 1962, she saw the town listing badly. State and federal aid was made available due to the severity of damage, and the planners working on new plans for the old town decided that an architectural historian should help guide those plans. Bold and inventive measures had to be taken by a handful of committed local preservationists, led by Carolyn Pitts. Carolyn was a founding member of the Mid-Atlantic Center for the Arts and helped by Bruce Minnix, first president of the MAC and later Mayor of Cape May City, focused at first on preserving the then jeopardized Emlyn Physick Estate. The City of Cape May was listed on the National Register in 1970. In the 1970's, there were also developer plans that would soon quickly destroy many of the Victorian buildings that stood in the way of modern development and many politicians at this time had no understanding of historic preservation and planning. Carolyn made Cape May her special project. Ms. Pitts fielded several teams of architectural students, historian/researchers, and photographers funded by grants from the National Endowments, the Barra and Atlantic Richfield Foundations. The National Park Service's Historic American Building survey donated tools and materials to the teams. Well over 100 drawings of Cape May's oldest most prominent and/or endangered buildings were completed. HABS teams from DC were amazed with the quality and quantity of work done by a revolving group of graduate architects. Over the years, Carolyn has remained ever vigilant in ensuring that Cape May did not fall victim to…shall we say…a lack of preservation vision. And while I'm sure she would tell you of the set backs, one has only to visit the seaside resort on the southern tip of New Jersey, to experience all for which we have Carolyn to thank. In his 1977 Surroundings article, Philadelphia Inquirer's columnist, Thomas Hine wrote "there should be a bronze statue of Carolyn Pitts erected on the front lawn of Cape May's City Hall". And while she was nominated by the Cape May Historic Preservation Commission, I want to point out that over the years, through her work in the National Park Service, canvassing 32 years, Carolyn has been instrumental with a number of Landmark designations in New Jersey. The Lawrenceville School, Grace Church in Newark, Georgian Court College, Ballantine House and the Burlington County Prison Museum, and Craftsman Farms all owe a debt of gratitude to Carolyn Pitts for her shepherding their nominations through the Landmark designation process. Her nomination for this lifetime achievement award was whole-heartedly endorsed by Roger Moss of the Athenaeum of Philadelphia, Barbara Beitel of Access to Art, Elizabeth Anderson from the Philadelphia Museum of Art, Bruce Minnix of Cape May, former Mayor during Carolyn's early tenure, and Skip Loughlin, the current chair of Cape May Historic Preservation Commission. The final award was presented to the Princeton Nurseries Acquisition. Nominated by the Delaware & Raritan Canal Corporation, this complex acquisition embodies the word 'partnership'. Princeton Nurseries was established in1911 by William Flemer, Sr., and by the time it relocated in 1995, was the largest commercial plant nursery in the US. The 200 acre preserved portion of the site is a scenic cultural landscape in the heart of increasingly densely development Central NJ. Critical to the preservation concept was the utilization of changes in south Brunswick's municipal zoning, which, while preserving the sensitive historic, and natural areas, concentrated the commercial development along Route 1. South Brunswick Township and the State of NJ committed to preserving the warehouses, a green house, and the nursery offices. The Flemer's donated the sum of $300,000 for the establishment of an endowment fund, dedicated toward rehabilitation activities on the buildings themselves. And prior to the state taking ownership, the nursery office was beautifully rehabilitated and now serves as the new park office. Princeton Nurseries placed façade easements on the worker housing, allowing the buildings to be protected, but marketed for future residential development in private ownership. Princeton University also placed easements on property that was once part of the Nursery complex. A management entity was established consisting of representatives of the State and Township to over see the planning and implementation for public use and appreciation. And South Brunswick is co-sharing site management with the DEP. Green Acres provided the critical funding to permanently protect this significant cultural landscape. And I need to elaborate a bit here. Renee Jones and Fawn McGee are really to be recognized here this morning as two Green Acres staff members who forged these partnerships for more than four years, never letting go of the vision, no matter what new obstacle presented itself. …Constantly re-negotiating until the pieces came together. Although it is difficult to quantity the costs of this effort, more than $2.5 M was paid by Green Acres. After four and one half years, with its formal dedication taking place on January 19 2005. Recognition went to: Honorable Frank Gambatese, Mayor, Donald Sears, Municipal Attorney, and Mathew Watkins, Township Manager, South Brunswick Township; Renee Jones and Fawn McGee, NJ DEP Green Acres Program; Princeton University; William Flemer's Sons, Inc.; Joint Township Advisory Committee, Village of Kingston; Friends of Princeton Nursery; Kingston Greenways Association; Kingston Historical Society; Jim Amon, former D & R Canal Director; David Knights; Shirley Tilghman; Robert Wolfe; William Flemer, III; Ivan Olinsky; John Woodward; Charles Dieterich; Karen Linder; Corrington S. Wong; Anne Zeman; and Robert von Zumbusch.